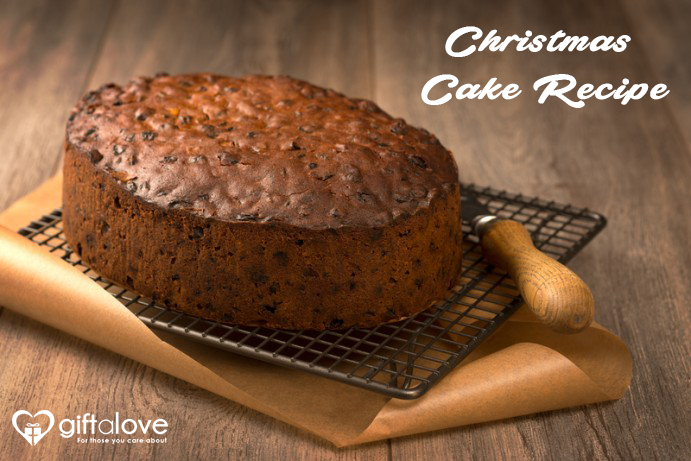 Easy Christmas cake Recipe – To Let your Loved Ones Relish a Flavorful Sweet Treat! Willing to bake Cake on your own on Christmas this year? Well it isn’t a tough task if you really want to loved ones of yours relish homemade Christmas cake? All that you need is the perfect Cake recipe and get it executed in the same way to serve a delicious homemade Christmas cake to your loved ones on Christmas. A soft, sweet and flavorful bite of Cake makes on Christmas is something that everybody wants to relish with family, friends and loved ones. How about baking such a mouthwatering cake on own to serve loved ones? Well baking a cake is not that tough and tricky task as it’s on your mind. You can always pick this Easy Christmas Cake Recipe to offer a sot and flavorful Christmas cake bite to your loved ones. At first preheat oven to 150°C and then grease a deep round cake pan of 22cm with melted butter. Also line the base and sides of the pan with 3 layers of non-stick baking paper that can extend 5cm above the edge of the pan. Now combine everything from dried fruits to orange rind, orange juice and fruit mince in a large saucepan to cook over medium-low heat. After cooking and stirring for 10 minutes or till the fruits softens, remove the pan from heat and keep it aside for 30 minutes to cool down. Then add brandy into it and stir to combine it. It’s time now to add butter and sugar to the fruit mixture and stir it to mix it well. Then make addition of all the combined flours as well as mixed spice into it to stir well. In the mix, now add eggs and stir well to mix everything nicely. Then into the prepared pan add everything and smooth the surface with a spoon. It is important to lightly tap pan on bench top so that mixture settles down nicely. You can then arrange or sprinkle almonds over the top of the cake. Now Bake the cake in the preheated oven for 3 hours 15 minutes or till the skewer inserted in the center of the cake comes out clean. You can cover cake loosely with foil if over browning appears. Remove from oven. You can brush hot cake with apricot jam and then cover the cake with foil. Then after this you can wrap cake in a large tea towel and keep it aside overnight to cool down completely. Now turn the cake onto a serving platter to serve your loved ones. Following all these steps carefully will definitely help you bake the perfect Christmas cake even if it’s the first time you are trying your hands. Else you can log on to the range of Christmas Cakes at GiftaLove.com to buy Christmas Cakes online.